"Salmon La Sac Guard Station"
Pack horses tied to fence posts in front of the Salmon La Sac Guard Station. 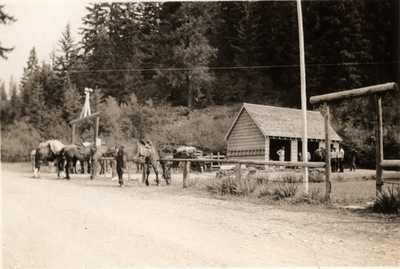 "Salmon La Sac Guard Station" (1930). Frederick Krueger Photographs. 643.